A shot I captured yesterday of a traffic accident. 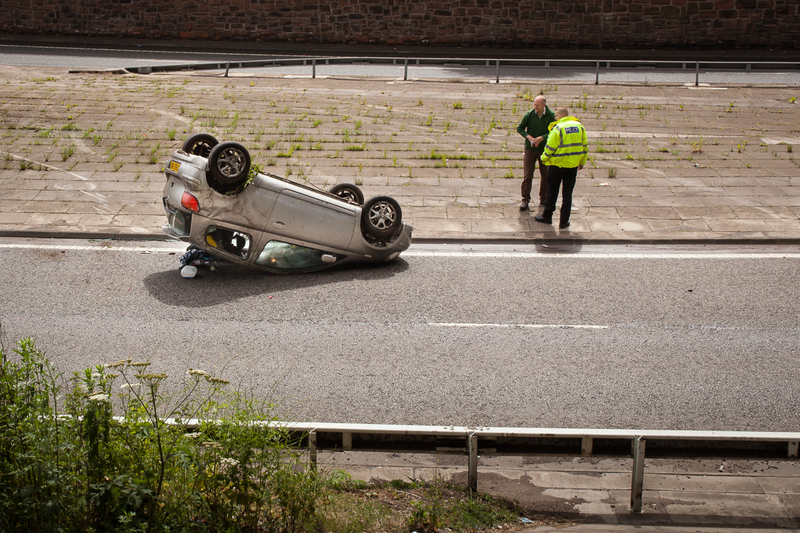 Where this car came off the bend, flipped over onto it’s roof, on the side of oncoming traffic at a bend. A very lucky man to have just a cut finger. You are currently reading Road Traffic Accident at Zeno Watson.